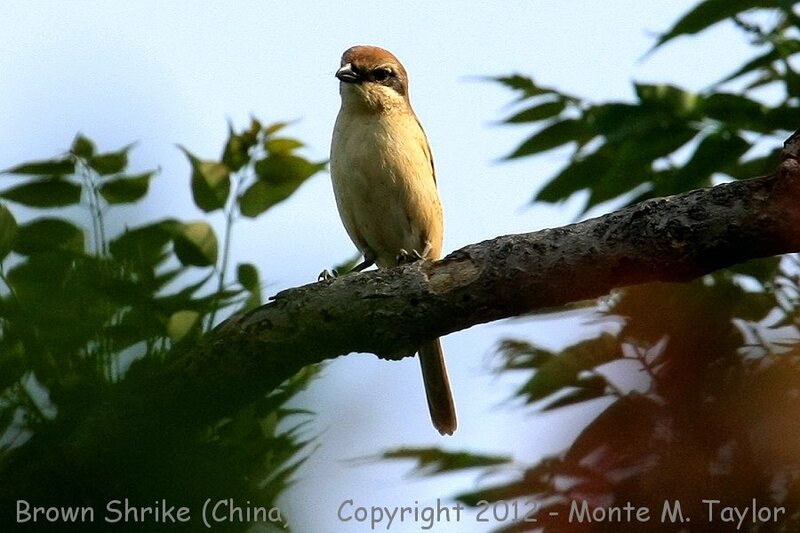 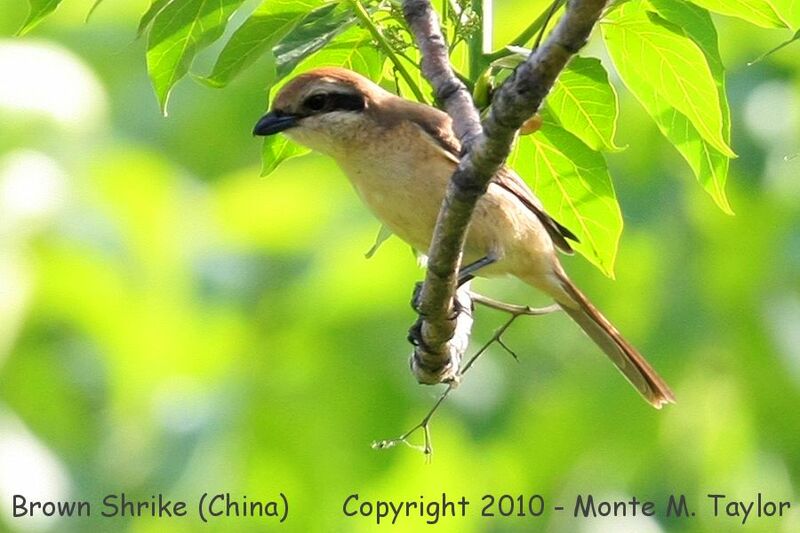 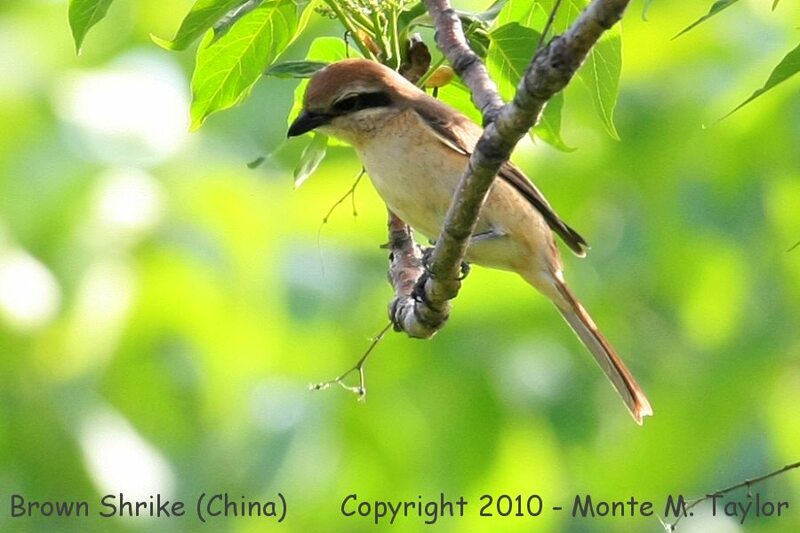 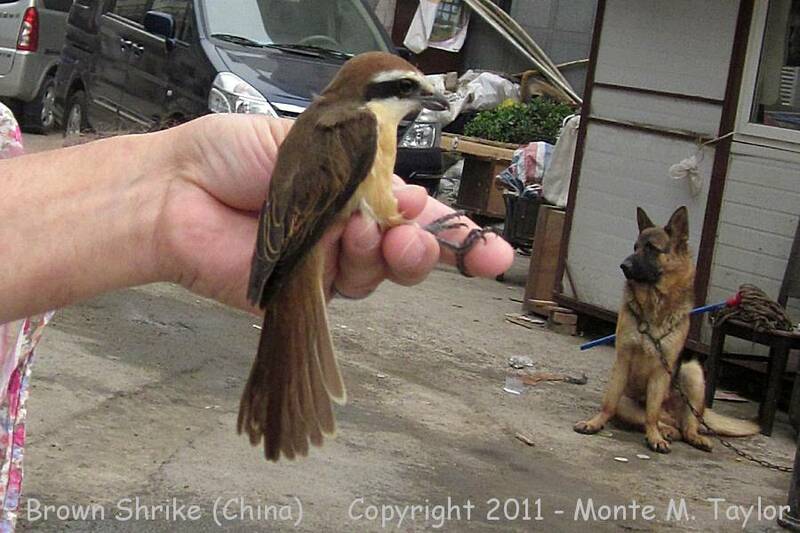 While shopping (and not birding) in downtown a man had just caught this Brown Shrike by hand as it was pestering his dog. 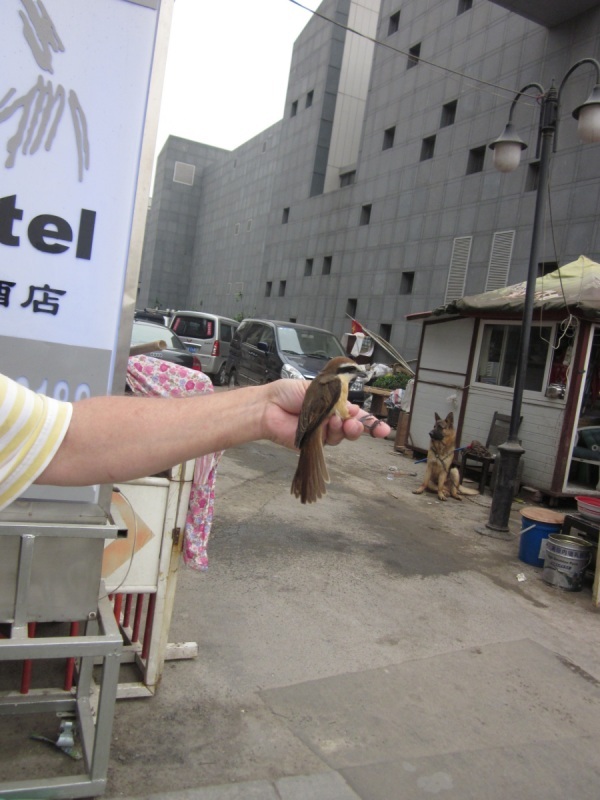 We just happened upon him as this occurred and he handed it to me so snapped this shot of me holding it. 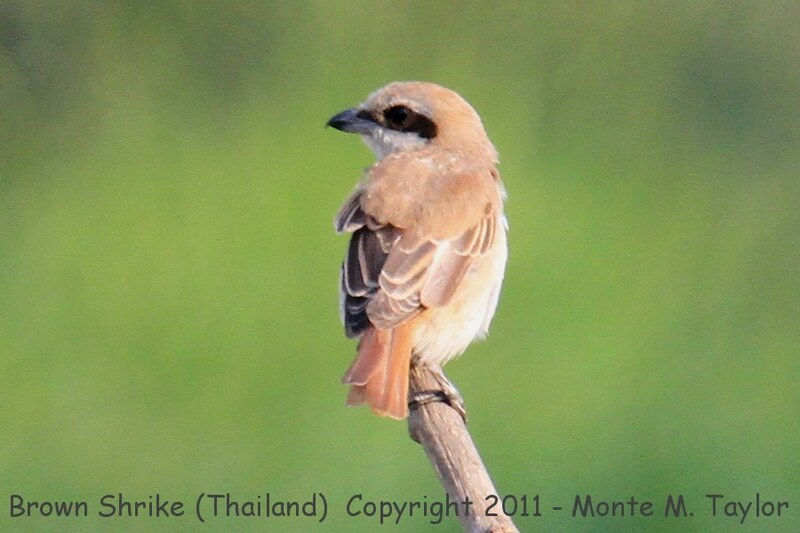 Never thought I'd hold a Brown Shrike in my hands and it didn't try biting or anything. 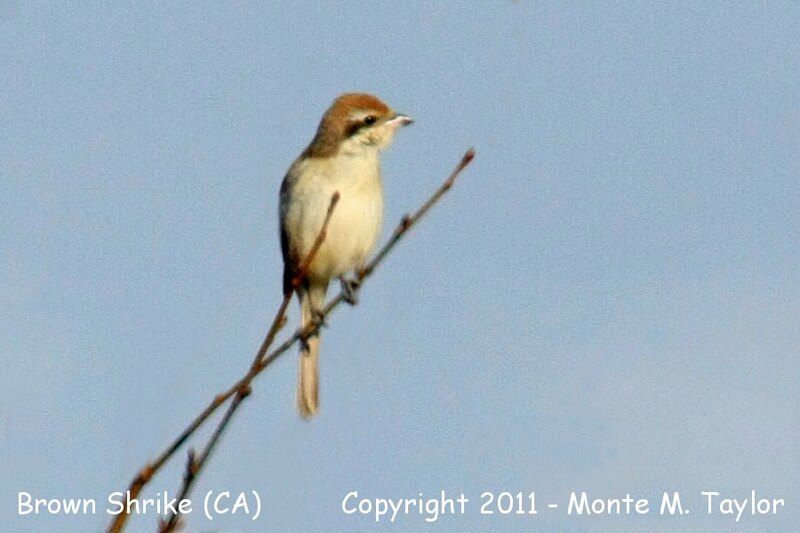 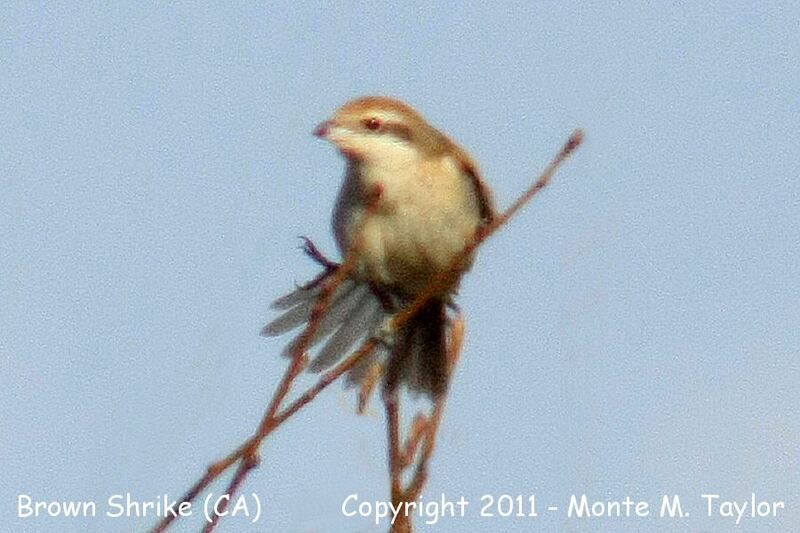 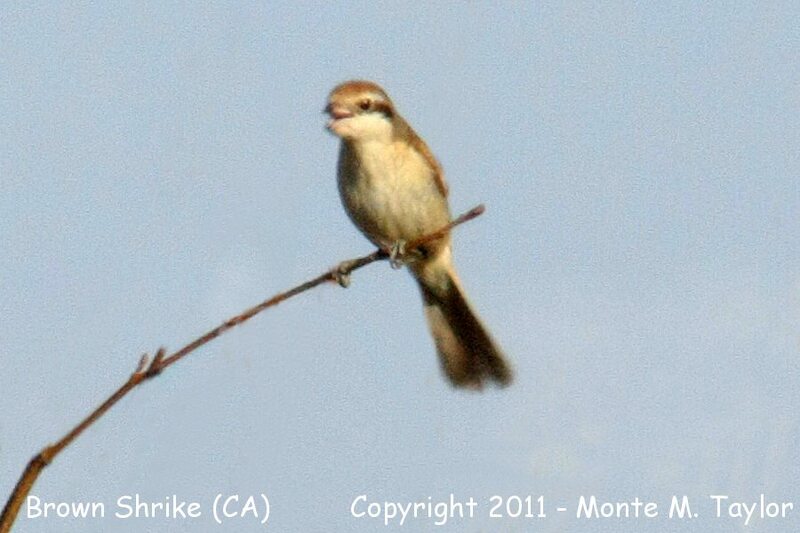 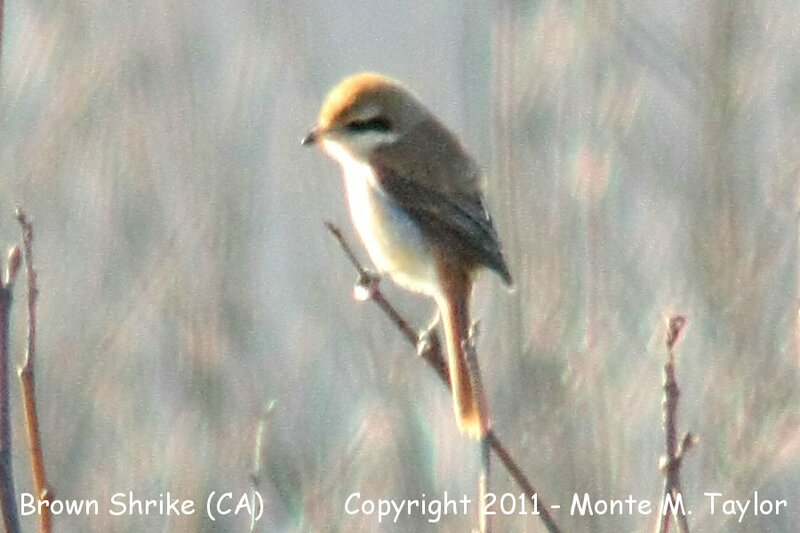 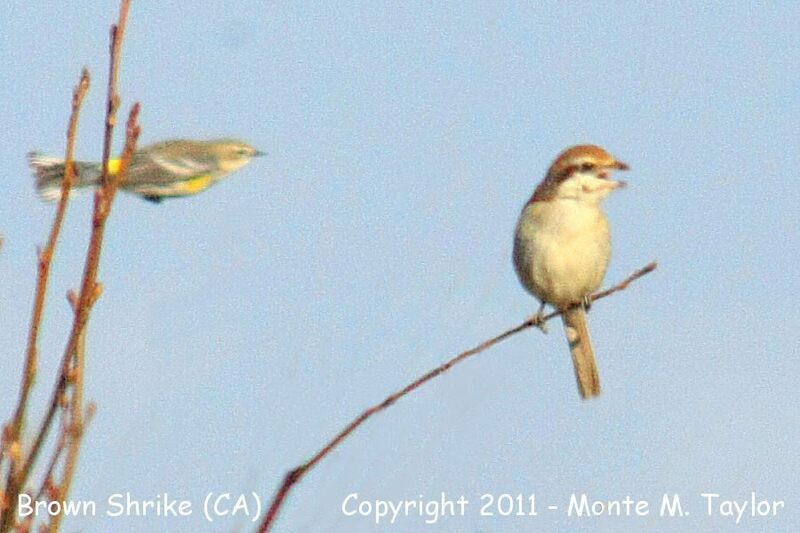 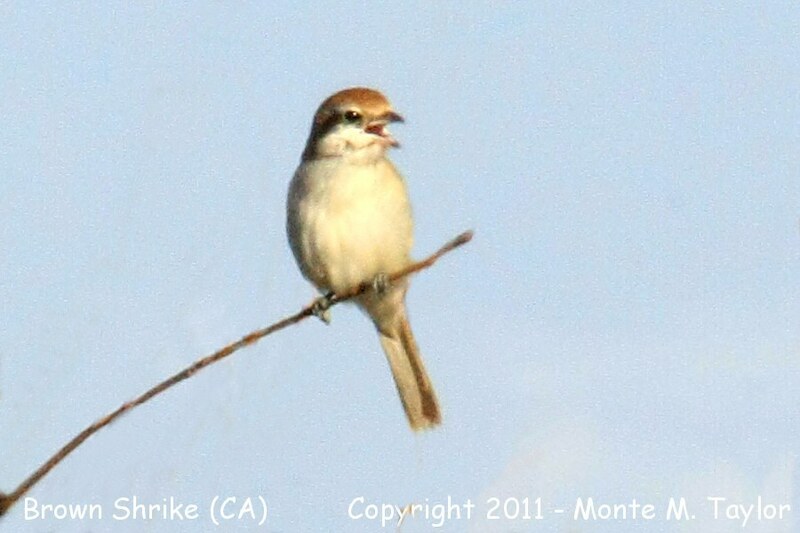 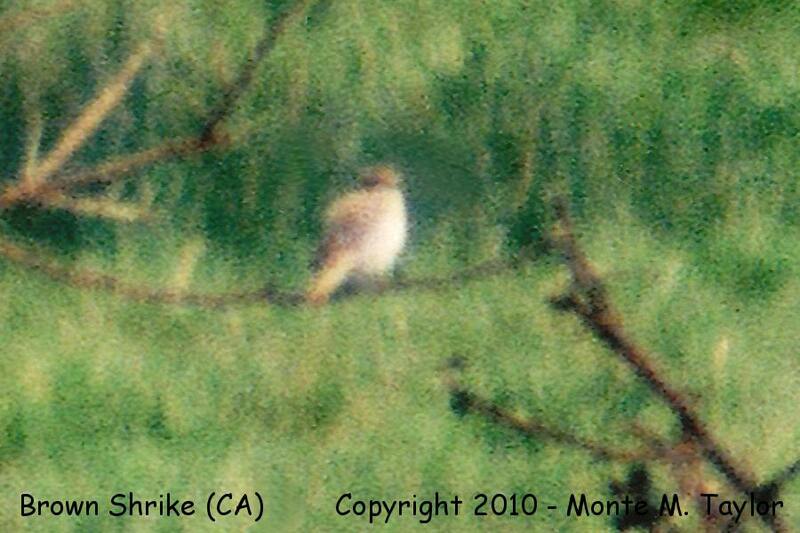 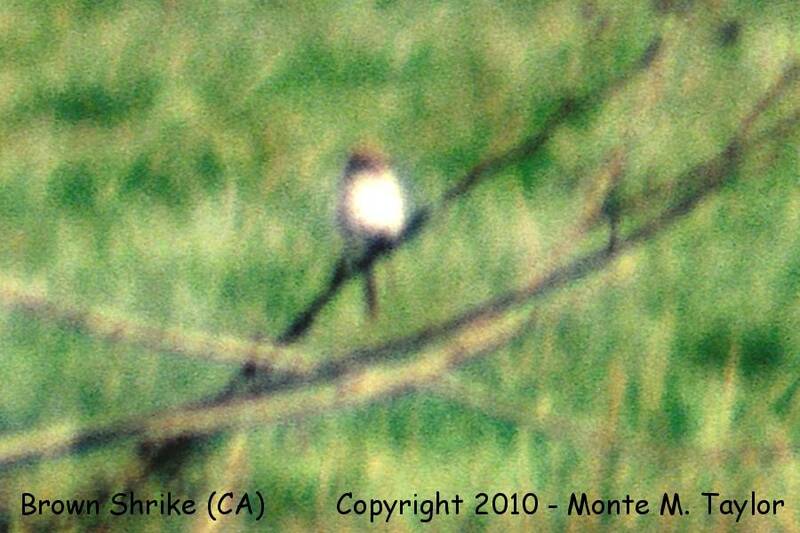 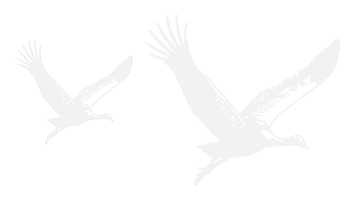 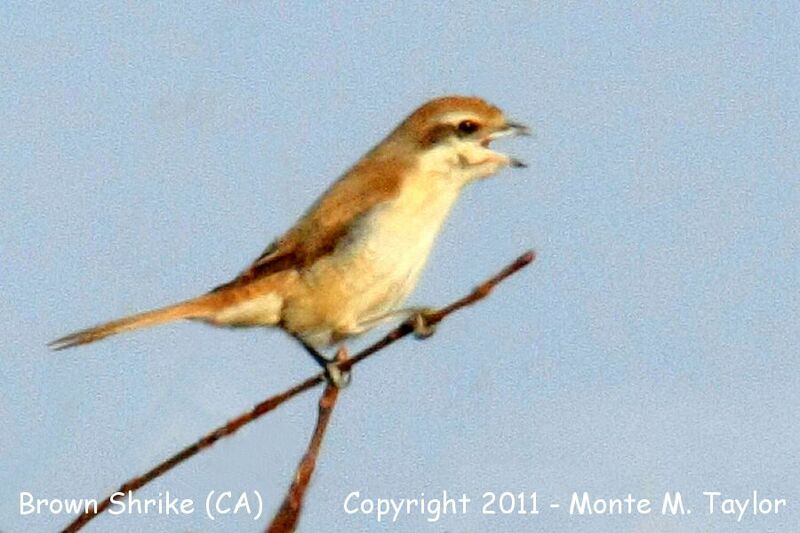 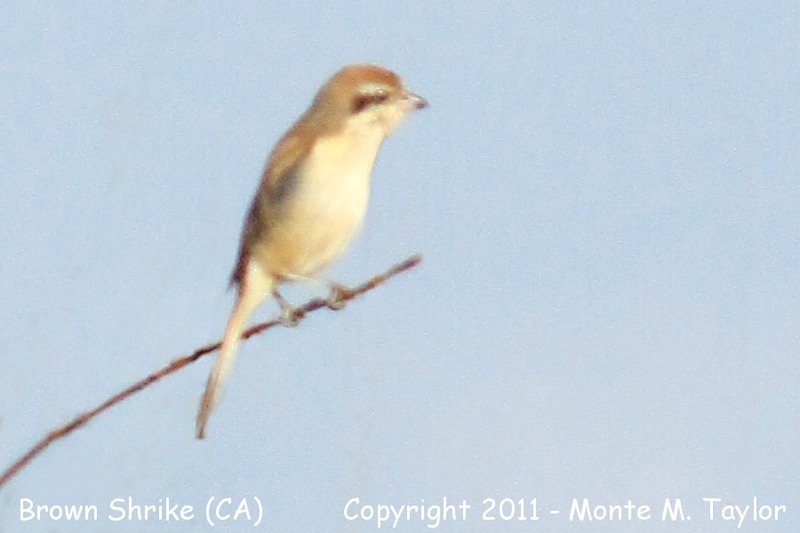 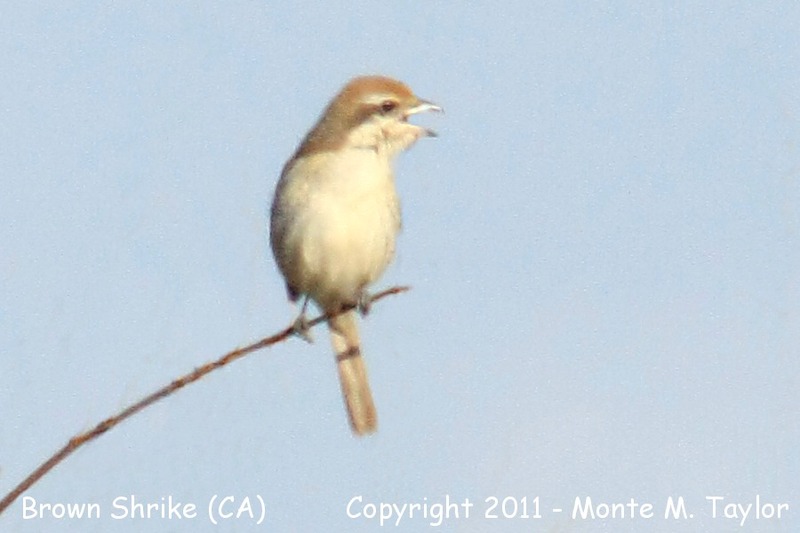 Brown Shrike -Feb 3rd, 2011- (McKinleyville, California) - Yellow-rumped Warbler luckily escapes!